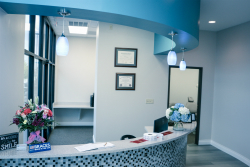 Perryman Orthodontics has been giving beautiful smiles to children and adults since 2012 and continues to deliver unbelievable results. 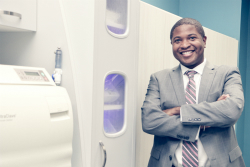 If you are self-conscious about your smile, we can help give you the straight, perfect teeth that you have always wanted with our wide range of orthodontic appliances. Whether you want to try out Invisalign® or your child needs braces, we are happy to offer a free consultation to discuss your options. Call today to schedule yours! Get the straight smile you want in no time with the flexibility to personalize the color! Our traditional brackets let you or your child get the personalized look they want while also getting a straight, perfect smile. The smoothed edges of the traditional brackets prevent irritation and rubbing against gums. Learn more during a free consultation today! Our self-ligating brackets offer a new and improved way to get a perfect smile. 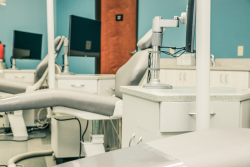 Its versatile components allow Dr. Perryman and his team to make the proper adjustments during your treatment to ensure that each tooth is perfectly aligned, while also giving you the comfort and shorter office visits. If you’re looking for an invisible alternative for your braces, our clear ceramic brackets are a great option. The clear ceramic options will straighten your teeth quickly and are virtually undetectable. Discuss our clear ceramic brackets with Dr. Perryman today! Invisalign® is a great alternative and a very popular choice among adults for its invisibility that allows you to live day-to-day life without feeling self-conscious at all. There are no wires, no brackets, and no food restrictions, and it's just as effective as braces. With a gradual shift, your teeth will be perfectly aligned in no time!